Maulana Syed Abul Hasan Ali Nadwi was indisputably one of the greatest exponents of Islam in the second half of the twentieth century and because of his command over Arabic, through his writings and speeches, he had a wide area of influence extending far beyond the Sub-continent, particularly in the Arab World. He believed in Islam as a blessing for mankind and as a positive and creative factor in human history. In a sense, Islam was perceived by him as a civilizational force which retained its relevance in the modern age as a viable counterpoint to the Western civilization with all its excesses. The Maulana’s forte was his extraordinary grasp of Islamic history. It is this historic sense of the rise and fall of Muslims in different ages and regions, which prompted him ever to take a long-term rather than a short-term, a broad rather than a narrow, view of the problems the contemporary community faced. He was an eminent scholar of his time, immortalized by his encyclopedic work, Nuzhatul Khawatir, (in eight volumes) containing about 5,000 biographical notes on Muslim scholars, theologians, jurists, etc. of India, apart from other notable works. Syed Abul Hasan Ali was born in 1333 A.H. (1914 A.D.). Having lost his father at the age of nine. He was brought up by his elder brother, Dr. Syed Abul Ali Hasani who practiced medicine at Lucknow. He specialized in Arabic literature at NadwatulUlama, Lucknow, studied Hadith under Sheikh Husain Ahmed Madani at Darul Uloom, Deoband, and Tafsir under Maulana Ahmad Ali of Lahore where he came in touch with Iqbal whose poetry left an abiding impression on him. 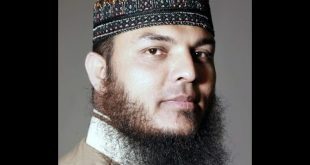 Besides literary and theological studies, Maulana developed a keen interest in Islamic history and also learned English in order to keep himself abreast of contemporary thought. He taught Arabic literature and Tafsir at the Nadwatul Ulama for ten years. After the demise of his elder brother, he became the Secretary of Nadwatul Ulema and subsequently as Rector he supervised both its academic and administrative management. Apart from his long association with Nadwa (as a student, teacher, Secretary, and Nazim), he served on the Shura of the Darul Uloom, Deoband, chaired the Managing Committee of Darul Musannifin, Azamgarh and established the Academy of Islamic Research and Publications at Lucknow. His biography of Syed Ahmad Shaheed, his biography of Hazrat Ali (KW) named Al-Murtaza and his Tarikh-e-Dawat-o-Azimat are his permanent contribution to Urdu literature. He was an Honorary Member of the Academy of Arts and Letters, Damascus and Academy of Arabic Language, Amman and served as Visiting Professor in a number of Arab universities. Internationally recognised, he was one of the Founder Members of the Rabita at-Alam-al-Islami,Makka, (1963), and served on the Higher Council of the Islamic University,Medina, the Executive Committee of the Federation of Islamic Universities, Rabat, and as the Chairman of the Board for the Centre of Islamic Studies of the Oxford University. 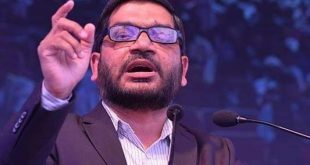 The lectures he delivered at Indian, Arab and Western Universities have been highly appreciated as an original contribution to the study of Islam and on Islam’s relevance to the modern age. In 1980, he received the Faisal International Award, followed by the Brunei Award and the UAE Award in 1999. 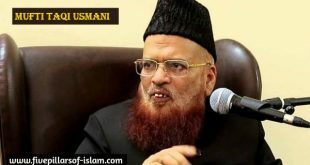 The Maulana was one of the founders of the All India Muslim Majlis-e-Mushawarat (1964), the All India Muslim Personal Law Board (1972) and the All India Dini Talimi Council. To promote communal harmony, the Maulana became one of the founders of FOCUS which was later transformed into Society for Communal Harmony. He also established a movement ‘Payam-e-Insaniyat’ to preach the gospel of universal love and brotherhood. 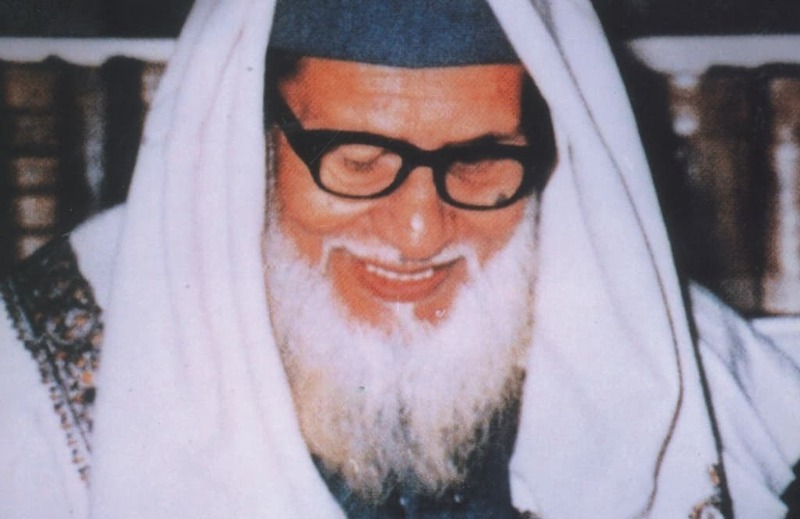 Abul Hasan Ali Hasani Nadwi died on 23 Ramadan, 1420 AH (December 31, 1999) in Raebareli, India at the age of 85.